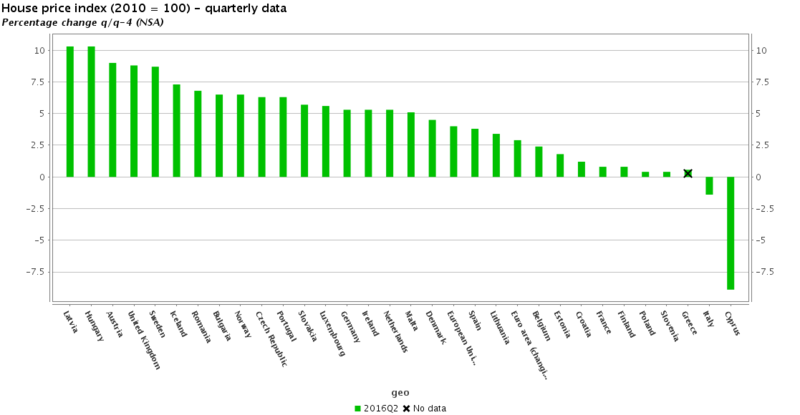 As you can see from the chart above, Spain was far below average for most of the time between 2008 and 2014, whilst it struggled with a severe real estate crash that most other European countries avoided. Now in recovery mode Spanish house prices are rising above the Eurozone average, but without the vigour seen in other countries that also went through a crash, like Ireland. 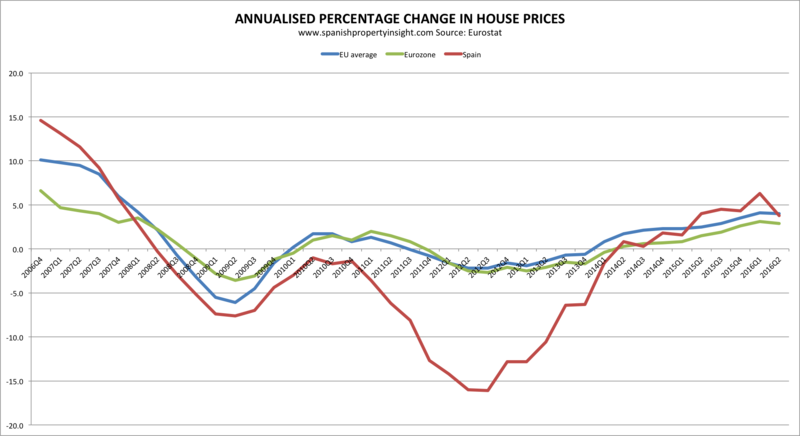 Looking at the latest figures, how do Spanish house price changes compare to other European countries? 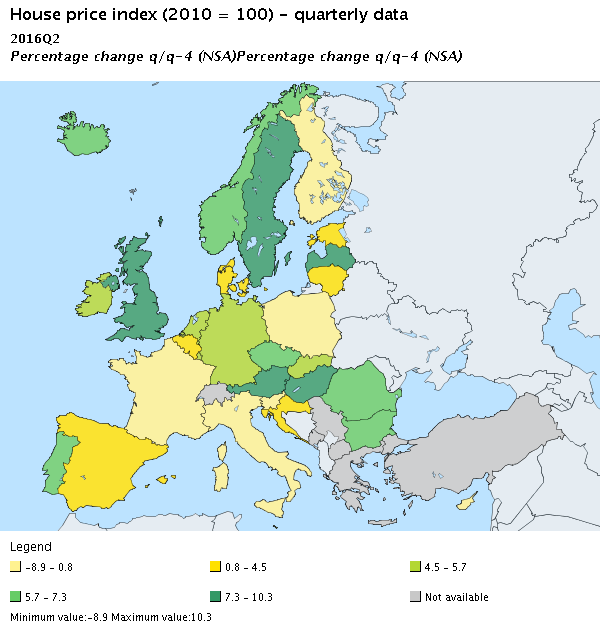 Well, according to Eurostat (based on official sources in each country), house price rose the most in Hungary (+10.3%), Latvia (+10.3%), Austria (+9%), the UK (+8.8%), and Sweden (+8.7%). At the other end of the scale house prices fell 1.4% in Italy and 8.9% in Cyprus.